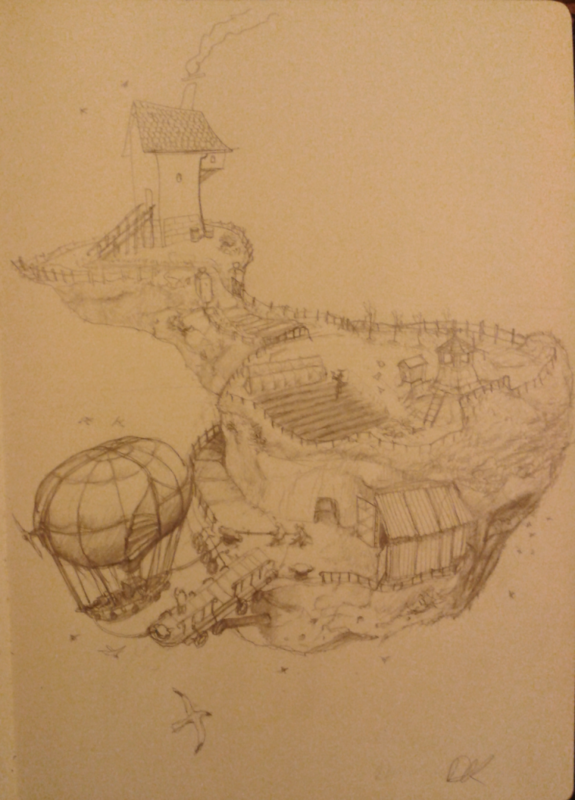 Floating Island with people and an air-ship. Here’s todays drawing. I started earlier today, though not as early as I’d like, but it’s an improvement nonetheless. I’ll take my victories where I can! The image quality of my drawing-a-day posts will suffer until I acquire better equipment.